(Los Angeles, CA) Whitford/St. Holmes have reunited and are set to release their new album, Reunion, on June 3rd. Today, the super duo are excited to unleash their first single, “Shapes,” a rock song with a nod to one of their favorite bands, The Yardbirds. 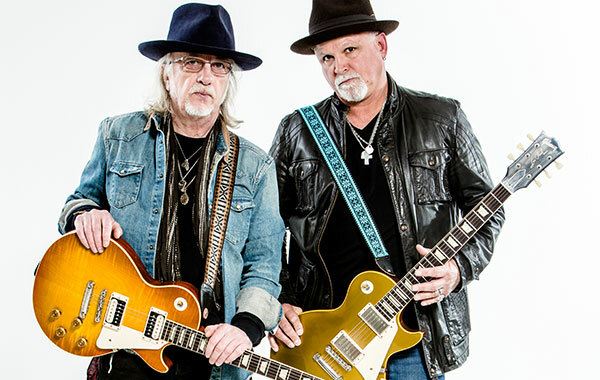 Featuring Aerosmith guitarist, Brad Whitford and Ted Nugent vocalist/guitarist, Derek St. Holmes are ready to get on the road and perform these new songs that flowed so easily during the writing and recording session. It was 1981 when Whitford, who had left Aerosmith, first teamed up with Derek St. Holmes to release their self-titled debut. Tracks like “Sharpshooter” and “Whisky Woman” carried on the stadium rock ‘n roll style that made them famous. The album received critical acclaim and they did a successful round of tour dates before returning to their respective bands and shelving the duo. Recently, the two friends found themselves living in the same town on the outskirts of Nashville. While working on some catch up time, they decided to revamp their collaboration. After writing a number of songs, the duo recruited bassist Chopper Anderson, keyboardist Buck Johnson and on drums, Tesla’s Troy Luccketta to record the album. Self-produced by Whitford and St. Holmes, the album was recorded at The Castle Studios in Franklin, TN.